Right now, I am hanging out with 75 of my closest friends and enjoying this very salad. I am lucky enough to attend Big Summer Potluck in Bucks County, PA! We will be enjoying some serious together time, developing relationships, learning about blogging, and of course, eating! 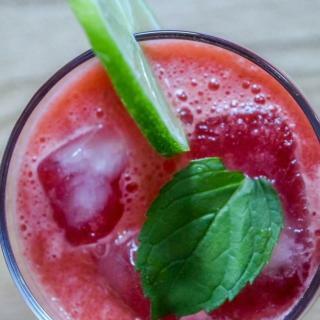 What else would you do when 75 FOOD bloggers get together? Since this is a Potluck conference, each meal will be sprinkled with delicious goodies from my new friends. 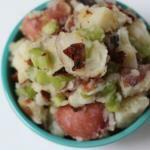 We had the opportunity to sign up to bring a goodie to share and I jumped at the chance to share potato salad. This is a classic in my family. 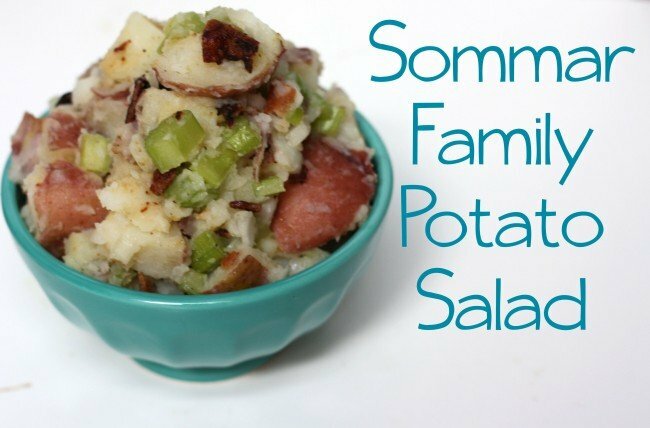 Hence the name…Sommar Family Potato Salad. Potato salad with mayonnaise kind of grosses me out so in my opinion this is the best potato salad in the world. I love this potato salad so much that I demanded my sister make it for our last family dinner celebration before my wedding last year. 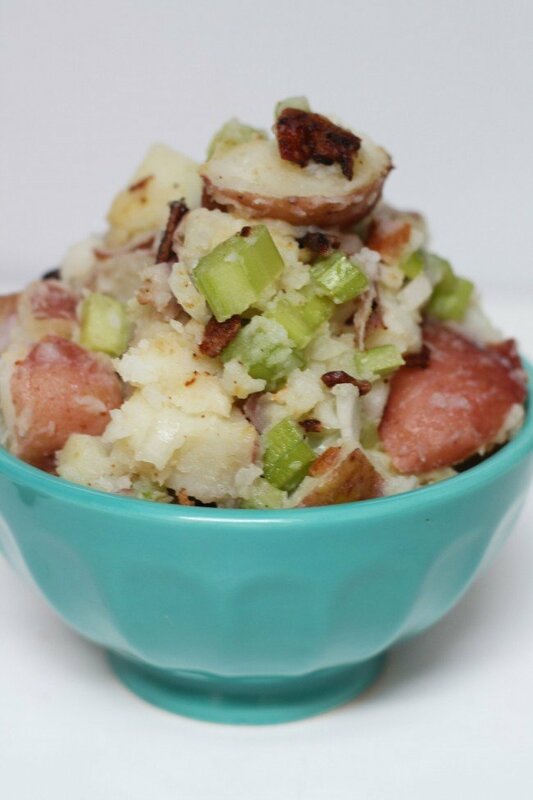 I’m not sure where this recipe actually came from, or when our family started making it, but you can bet that on most summer nights when the grill is on and we are outside enjoying a barbeque, this potato salad will be devoured. 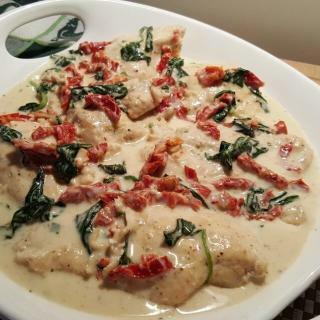 It is reminiscent of a German potato salad, but usually served room temperature or even cold. 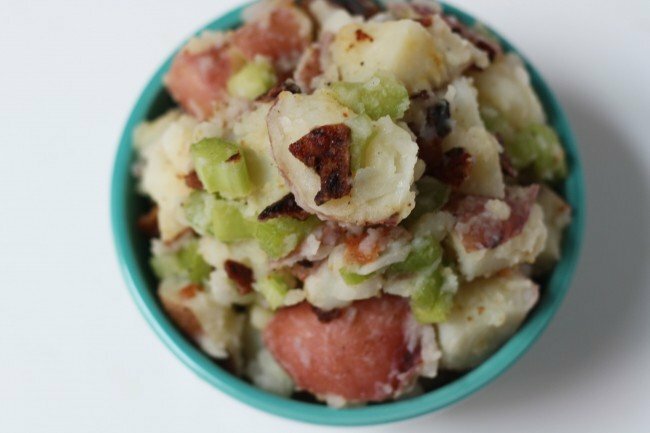 Since this potato salad does not have mayo in it, it is perfectly safe to bring to a picnic where this may be sitting outside in warm weather for awhile. And this salad has bacon. Need I say more? How to make Potato Salad Recipe ? We know how to make potato salad. but do you know how to make it so delicious ? I guess not. Place potatoes in a pot and cover with water. Boil until potatoes are cooked, about 10-15 minutes. Drain potatoes and allow potatoes to cool. 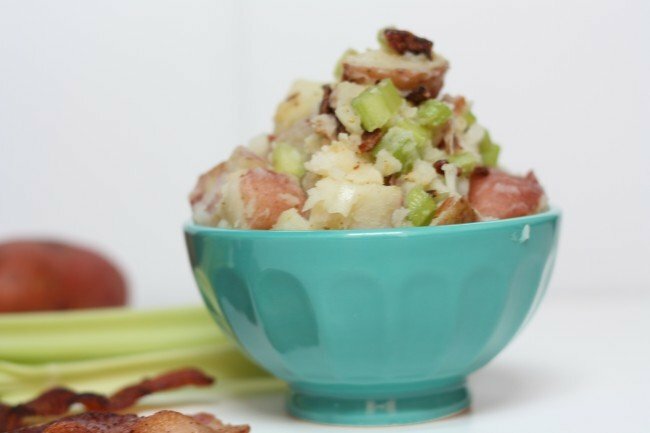 When potatoes are cool, combine potatoes, celery, and onion in a large bowl. 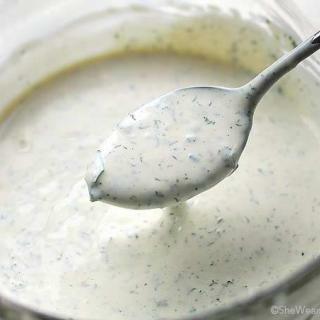 Drizzle with oil and vinegar. Mix to combine. At this point it is a good time to go ahead and taste the potato salad. Add more oil and/or vinegar if needed. Salad can be kept at room temperature or in the fridge until ready to serve. Mix in bacon just before serving. 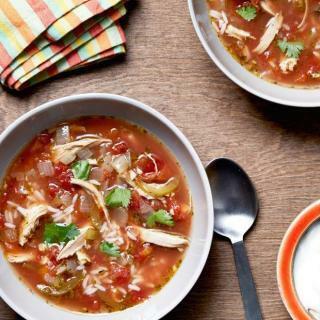 Although this is best eaten the day of, you can store leftovers in an airtight container in the fridge.